EFAO’s Member Recognition Ceremony, or ‘Daisy Awards’ will take place at the Banquet Dinner on Wednesday December 5th. 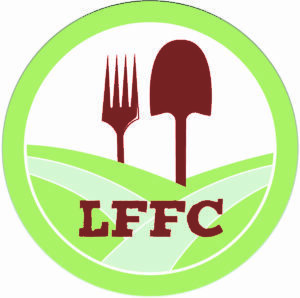 Know a farmer who’s outstanding in their field? Nominate them for a Daisy Award! 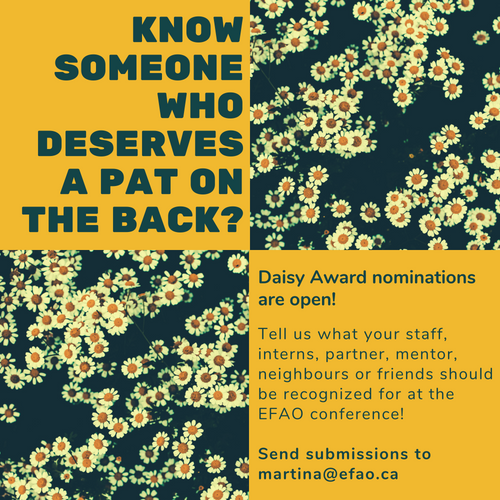 Drawing inspiration from Stuart McLean and the Vinyl Cafe’s Arthur Awards, we are looking to EFAO members to help design the awards and recognition handed out at this ceremony. The award can be for anything: a good deed, a helping hand, inspiration from afar. It’s up to you to nominate and come up with the award title. The awards can be funny or serious, sentimental or light-hearted. They can be anonymously recognized or you can attach your name to the message. 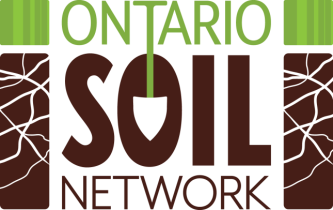 Let’s give credit to the people and the deeds that are not often acknowledged, and in doing so, celebrate the incredible ecological agricultural community we have growing in Ontario!